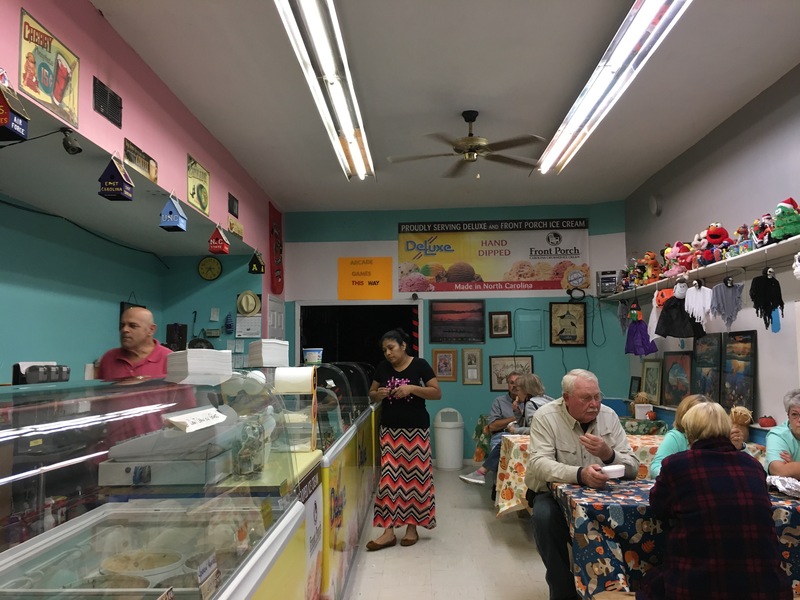 On a quick trip through what seems to be the awesome university town of Gainesville, FL, I was delighted to find Sweet Dreams in a small strip mall. 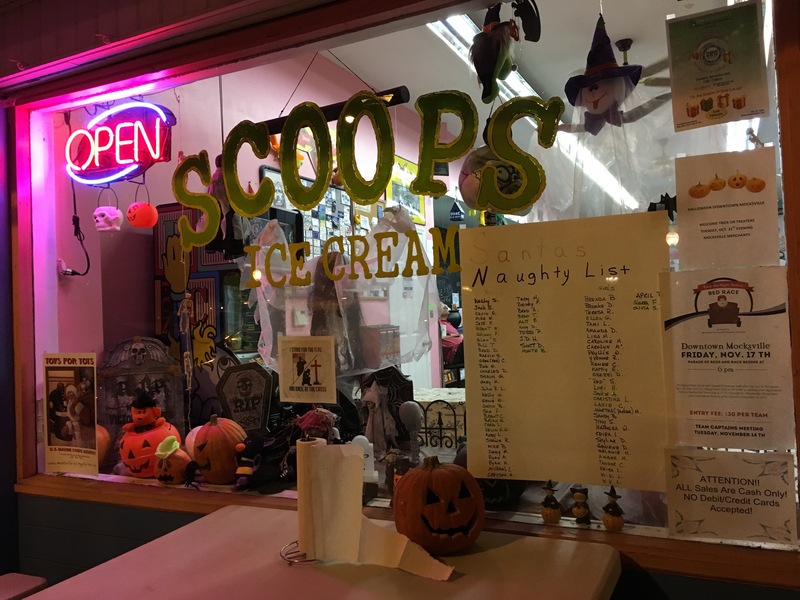 It’s an unpretentious location focused on cozy seats to enjoy some cheap homemade ice cream. 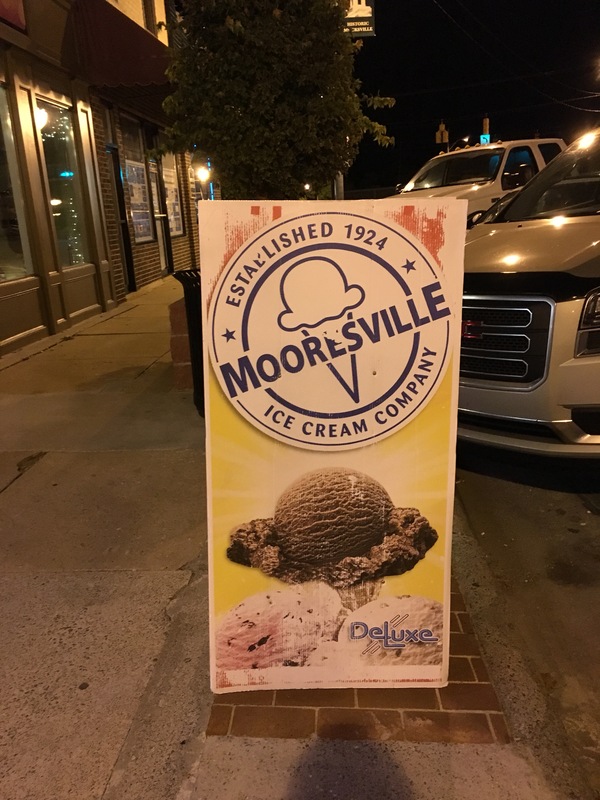 This isn’t gourmet, and it’s not going to be your best ice cream ever (unless all you know is Edy’s and Baskin Robbins), but it’s a great place for a treat. Tamarind – Wow. This had a delightful tartness. Chocolate Ginger – Unfortunately this wasn’t memorable – definitely nothing exceptional here. House Chocolate – This is a dark chocolate with fruity undertones. It wasn’t my favorite, but I give them credit for uniqueness! Chocolate Jack, Jimmy, Johnny – This has a wonderful chocolate flavor, boozy and with dried fruits and nuts. It’s actually a flaky texture, and it’s really tasty. I’ve never seen anything like it, minus the one time I made ice cream by throwing all sorts of chocolate together. Mint Chip – Tastes like Christmas! This is light and delightful. The brown sugar toffee also looks worth a try! With tax, a double dipper was only $3.67, making this a very affordable indulgence. They will also let you mix flavors if you order a pint! Do be aware there aren’t a lot of “normal” flavors like chocolate, strawberry and vanilla. This place is best for adventurers. I also missed the case with fun sorbets and dog treats on my first visit. Have you tried Sweet Dreams? What did you think?